A Plastic Planet; a global social impact movement with a single goal – to ignite and inspire the world to turn off the plastic tap. The organization seeks to dramatically reduce the use of plastic, especially that used to package food and beverages. As entrepreneurs, they bring a fresh approach to environmental issues. 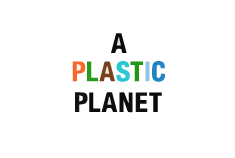 A Plastic Planet is highly vocal in representing the public’s right to have plastic-free options by working collaboratively with industry, retailers, Governments, legislators and the UN to accelerate the pace of change at all levels. In early 2018, they opened the world’s first Plastic Free Aisle in Amsterdam, which gained worldwide media attention. APP also launched the Plastic Free Consumer Trust Mark, empowering consumers to shop differently. A Plastic Planet believes in the power of business to affect seismic change, creating Plastic Free Hackathons within global giants such as Unilever. They influenced the UK 2018 Budget with their proposal to tax virgin plastic and capped off the year by partnering with a London supermarket to make 1800 products plastic free within 10 weeks, highlighting the slow pace of change within the big chains. Joining the Plastic Health Coalition strengthens their shared goal to inform people that plastic is not only affecting our oceans, our soil, our air but impacting the health of future generations.